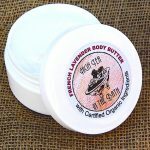 Along with Coconut Cream Body Butter, this is our best seller! Sandalwood with Patchouli. A soft velvety fragrance and feel to this one. 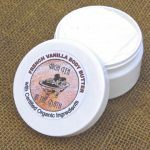 Give it a try if you love Sandalwood or Patchouli. You will not be disappointed! 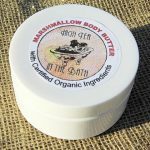 Along with our Marshmallow Body Butter – this is our best seller! 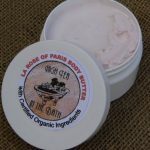 A beautiful Classic French lavender essential oil in a silky smooth creamy body butter for all over after-bath or shower moisture. Team it with one of our beautiful Lavender soaps for the ultimate experience. 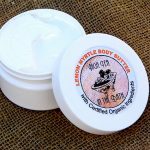 This is the one to use for skin eczema, psoriasis, dermatitis, rashes, and delicate skins, including Baby. 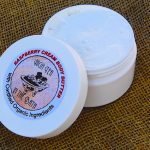 Sweet and delicious like crusty hot pie, this is another all-time favourite that smells like Strawberries & Cream (Vegan) Milk with Coconut Cream. 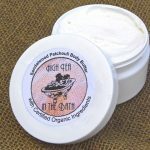 Lashings of this all over the body will moisturise and sweeten you up! 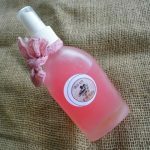 Our new body fragrance spray, soft and feminine, our customers tell us the beautiful aroma of this lasts all day. Begin with the Organic Coconut Pink & White Marshmallow soap, add the rich moisturising Marshmallow Body Butter to match (above) and Spray the beautiful Body Fragrance Spray, and you’re set to go for the day or the night! While you’re getting ready to go, treat yourself to one of our beautiful Marshmallow Candles from ‘Let there be Light’. A Range of Fun and practical bath-time products. Although we DO make bath bombs and fizzies, we don’t post out the bathbombs due to the fragility of their nature. So come and visit us if you would like to see our lovely range of Bath bombs and Bathbomb Cupcakes. 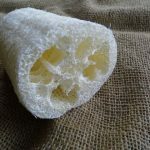 All natural pure vegetable scrubby, long-lasting and seriously exfoliating for a smooth and polished feel to your skin. 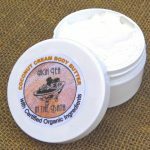 Follow up with one of our delicious Creamed Body Butters. 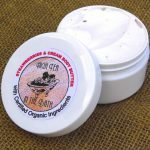 Great for a foot scrub! 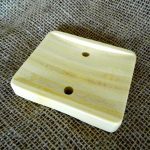 All natural bamboo soap dish contains two holes for draining your soap. 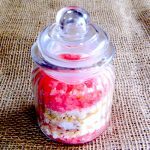 Fits High Tea in the Bath large bars of soap perfectly to give your soap longer lasting hardness and lather by allowing to dry and drain between uses.